Go back in time to relive and explore Rocklin’s history of Rock, Rails and Ranches. 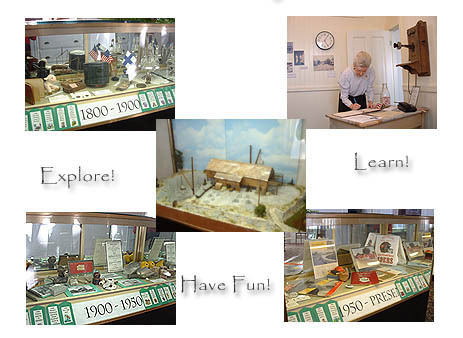 Follow the timeline of the small settlement of the 1850’s to the thriving community of today. See tools and images from the time when Rocklin was the “Granite Capitol of the West”. Learn how the Central Pacific Rocklin Roundhouse provided engines to power the Transcontinental Railroad over the high Sierra in 1869. Discover the remarkable story of J. Parker Whitney and the 27,000 acre Spring Valley Ranch.